Benitoite was discovered in San Benito County, California in 1906 by a prospector who thought it was a sapphire. Upon inspection and testing by the University of California in 1907, it was found to be a completely different mineral, being of a barium titanium silicate composition. 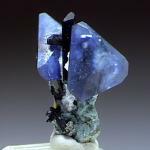 Today, there are 4 known localities of this mineral: San Benito County, California, USA - the type locality; Magnet Cove, Arkansas, USA; Esneux, Belgium and Niigata Prefecture, Japan. 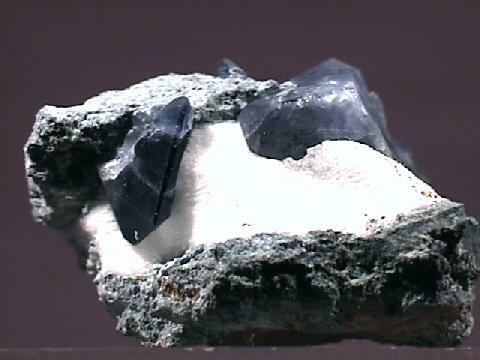 Benitoite is found in veins in the brecciated zone of blue schist that is associated with serpentinite. 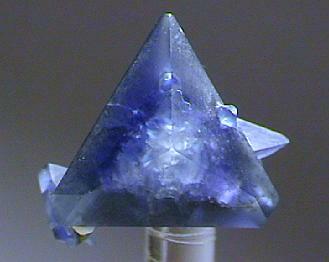 It is strongly dichroic, with faceted stones being seen as blue and even colorless, when looked at from different angles. 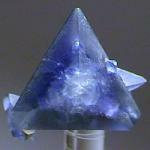 It has a very distinct and odd crystal shape, nearly pyramidal, or dipyramidal. 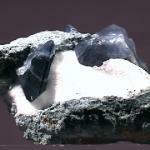 Benitoite crystals have been found in shades of blue, colorless, and very rarely, pink. 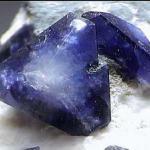 In a nearly prophetic fashion, mineralogists actually predicted, based on mathematics, that there would be no less than 12 classes within the Hexagonal crystal system. 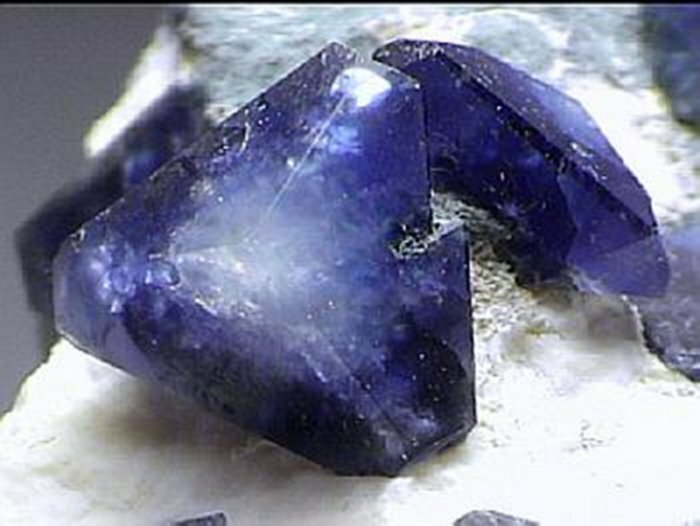 Ten of the twelve were already known to exist in nature, and upon the discovery of Benitoite, number eleven was identified. 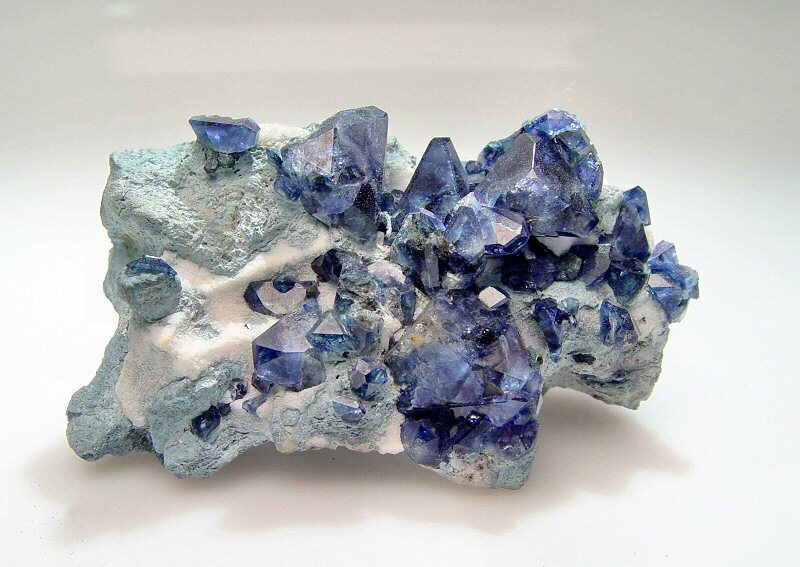 The blue color of Benitoite is a very appealing color, and with its strong color dispersion, it makes it a desirable stone for collectors. It is very rarely seen in jewelry and when it is, it will be in expensive jewelry. 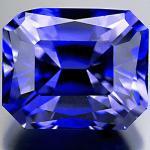 This is in part due to the fact that gem quality material is rarely larger than 5 carats in size. One of the largest Benitoite gems weighs 7.50 carats, and was on display at the Smithsonian Institution for a period of time. 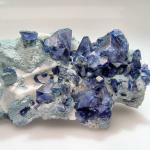 Other large specimens grace the collections of private collectors.